Isaac Pierce is from the ‘wrong side of the tracks.’ The town bad boy. Girls pine for his attention and guys are in awe of him. That he’s an acting prodigy only adds to his charisma. Isaac utterly disappears into his characters; the stage is the only place he feels safe from his own traumatic home life. He wants nothing more than to escape to Broadway or Hollywood, and leave Harmony behind for good. No one can play Hamlet but Isaac, and when the director pairs him with Willow in acting class, they clash again and again—neither willing to open their hearts to anyone. But clashing leads to breaking, breaking leads to the spilling of terrible secrets, and soon Isaac and Willow find Shakespeare’s words mirroring their lives. When they are cruelly torn apart, neither know how this play will end—with madness and heartache? Or healing, love, and the discovery of who they are truly meant to be. 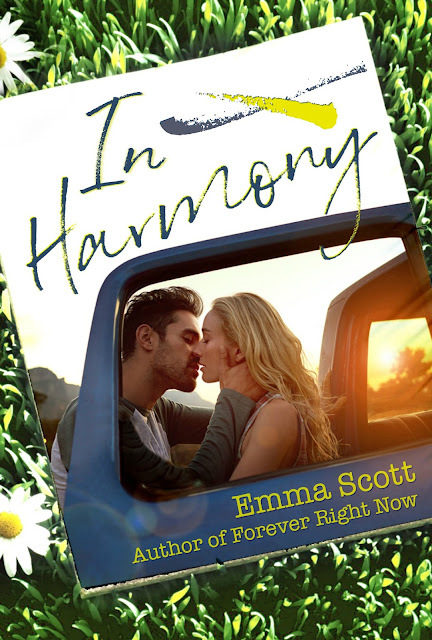 In Harmony is a standalone NEW ADULT love story, and is intended for readers 18 and up. 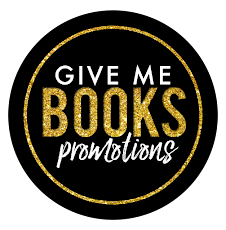 PLEASE NOTE, this book contains sensitive material such as physical abuse, and the aftermath of sexual assault (off the page). Reader discretion is advised. 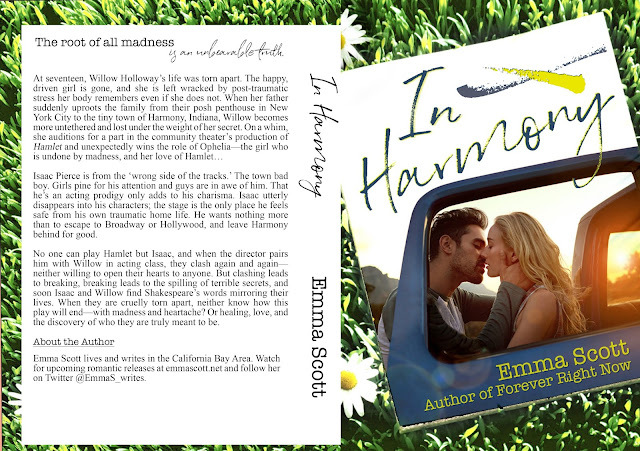 Emma Scott is a writer, marathon runner, and caffeine addict, who lives and writes in the California Bay Area. She has two smart, feisty little girls, a super-supportive husband, and is a demonstrated fan of the Oxford comma. 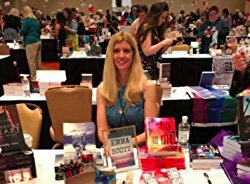 She is also an unabashed Star Wars geek and comic book enthusiast who fell into romance novels when a writing contest prompt turned a 1000-word romantic story into a full-blown novel. She also writes epic fantasy that suffers an epic word count. She hopes you enjoy her work, encourages readers to leave feedback, and thinks it's amusing to write about herself in the third person. And if she has a driving force that fuels her work, it's that love always wins.